The App Store’s Canada 150 celebration has taken us from various tech hubs across Canada, highlighting popular apps from each region. 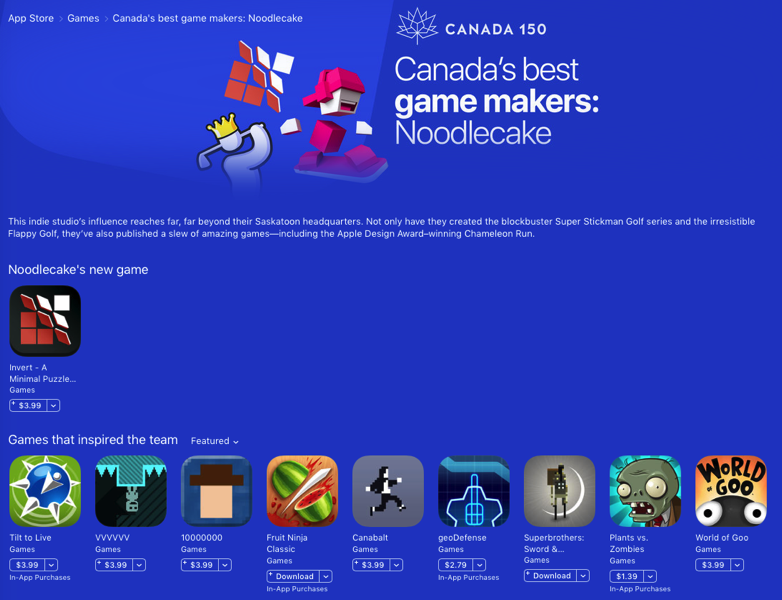 The newest section is called Canada’s Best Game Makers, and the first develop featured is Noodlecake Studios from Saskatoon. The company launched yesterday a new minimal puzzle game called Invert ($3.99), to go with their well-known creations such as Super Stickman Golf from years back. The promoted section details “Games that inspired the team”, “The studio’s favourite games to play”, and other games made by Noodlecake. 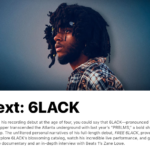 Noodlecake marketing director, Ryan Holwaty, spoke with The Financial Post in an interview detailing how this company of 22 employees was chosen by Apple as the first to be profiled in the App Store. Last year, Noodlecake Studios’ game Chameleon Run won an Apple Design Award at WWDC, and was a runner-up iPad game pick for Apple’s Best of 2016.